You guys! The sun has actually been shining in London and I have been soaking up every. single.ray.of.sunshine. (The emphasis was intentional)! My daughter had four whole weeks of Spring Break and we filled our days with bounce parks, family basketball games at the gym and an Easter Staycation in Westminster. I plan to get outside and enjoy each sunny day the Spring + Summer has to offer, but not at the expense of my skin! Going from California to Texas had a few benefits: the most noticeable being the humidity that kept my skin glowing with moisture and my hair healthy. England has a consistent rainy climate, but the air is, ironically, quite dry. As much as I love a good foundation and highlight, my skin care regimen has been important to since adolescence. 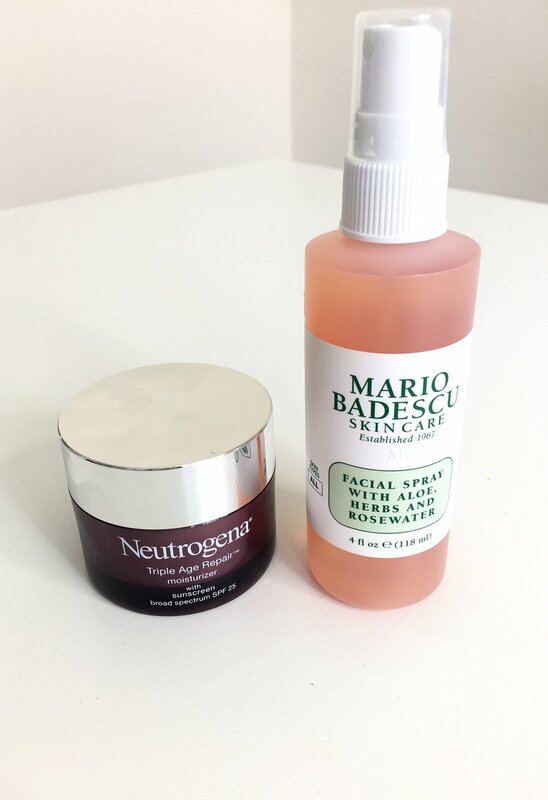 Neutrogena's Triple Age Repair Moisturizer + Mario Badescu's Aloe, Herb & Rosewater Facial Spray are the first and last steps of my morning routine. After I cleanse and tone, I spread a light layer of moisturizer across my face before applying my foundation. Its water based, which gives my skin the ability to breathe without that heavy, greasy feeling. Once I apply my makeup, I set it with Mario Badescu's Facial Spray for a light layer of sealing moisture. You all know how I feel about my lips- when they're naturally full, you better show the Lord you're grateful for them with a good lip color :). 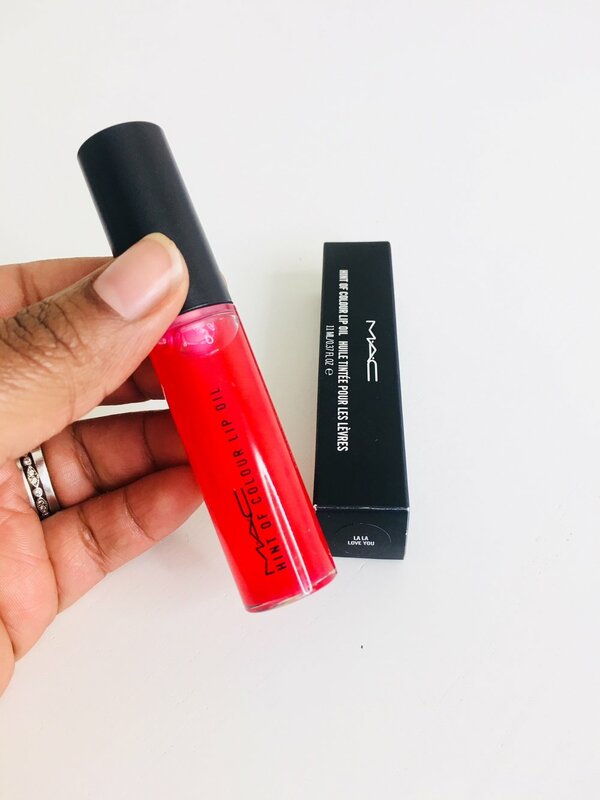 MAC's Hint of Color Lip Oil gives a subtle tint, but because it is oil based, it keeps my lips moisturized throughout both the sunniest and coldest of days. I top it with a matte lip color (my newest love being the SIA x MAC collaboration) to give an simple and complete finishing.